Fourth Row Center: Film Writings by Jason Bailey: Here we go. 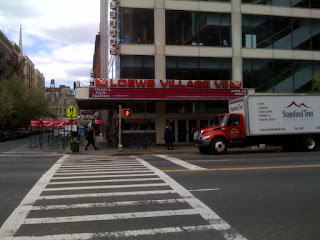 This is the AMC Loews Village 7, home to the Press & Industry (aka "P&I"--jargon!) screenings. So this will be my second home for the next eleven days.